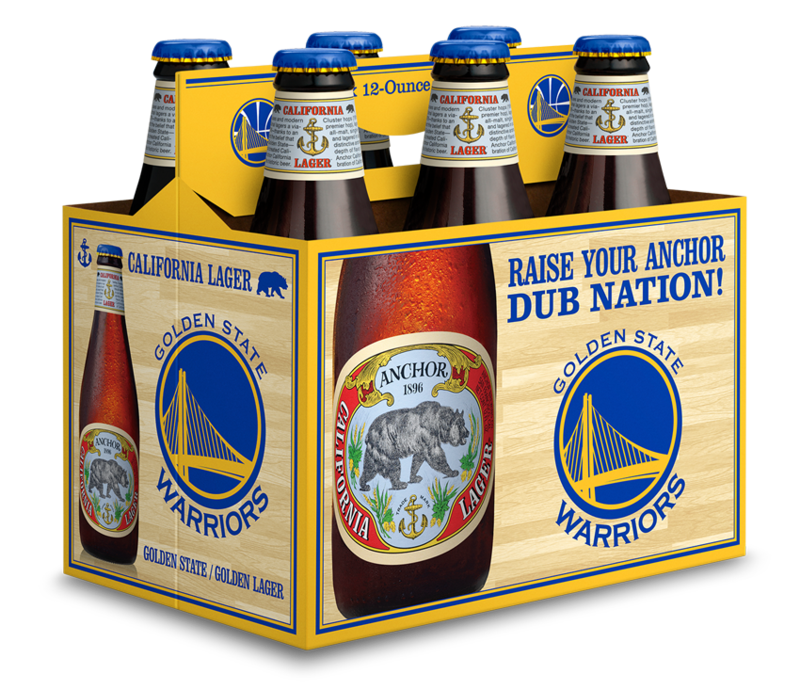 We’re excited to announce the limited release of our Anchor California Lager Golden State Warriors packaging. A flavorful, easy-drinking golden lager for the Golden State, Anchor California Lager is the perfect brew for gametime or anytime. The Warriors, whose final season in Philadelphia is best remembered for Wilt Chamberlain’s 100-point game, moved west at the start of the 1962–1963 season. They became the Golden State Warriors in 1971—the same year, coincidentally, that a storied brewery in San Francisco began bottling its unique beer. 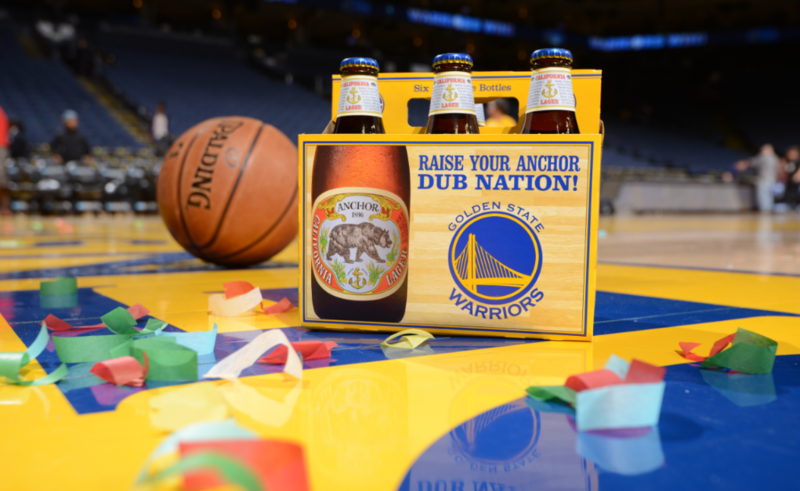 Today, the Warriors are the most exciting team in the NBA, and Anchor Brewing is known worldwide for its timeless and unique beers, like Anchor California Lager. Anchor’s roots go back to the Gold Rush, long before icehouses and modern refrigeration made traditional lagers a viable option in California. In 1876, thanks to an ice pond in the mountains and a belief that anything is possible in the Golden State, a little brewery named Boca created California’s first genuine lager. In 2013, Anchor California Lager was introduced as our revival of this historic beer. The limited edition packaging reflects the Warrior’s logo; a span of the iconic San Francisco—Oakland Bay Bridge in their signature yellow and blue colors. It is available from March-June 2017 in 6-pack bottles in the extended Bay Area including San Francisco County, Marin County, Sonoma County, Napa County, Solano County, Contra Costa County, Alameda county, Santa Clara County, and Stanislaus County. You can find a brew near you by using the Anchor Beer Finder. 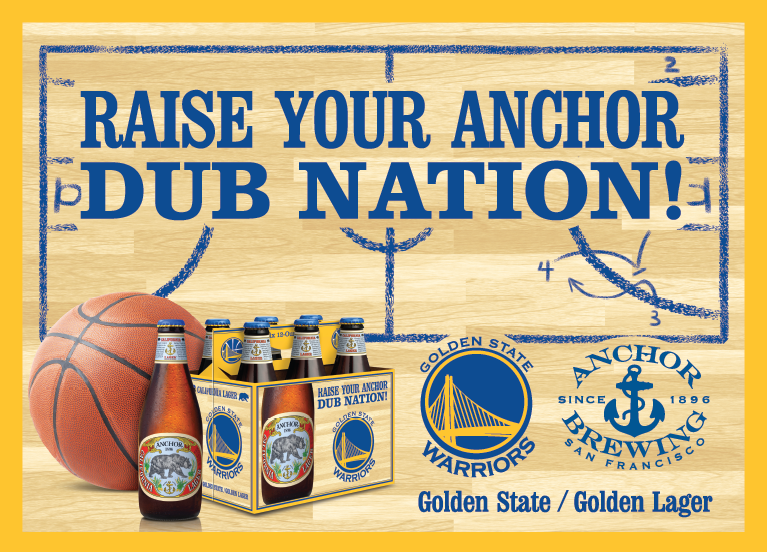 A variety of Anchor beers are also available at the Oracle Arena where the Golden State Warriors play.